I'm leaning towards simple and sophisticated window treatments like these. Not knowing whether our little one is going to be a boy or a girl has made it a tad difficult for us to decide on anything regarding the nursery and its decor. Steve has pretty much given me full reign over how to decorate it, which is (let's be honest) to be expected. But I definitely will get his opinions on a few of the major pieces. Until we know whether we're having a boy or a girl, I won't be buying anything but I do know one thing for sure: I want this nursery to grow with the little one so that we won't have to constantly paint or redecorate it. Although knowing me, it'll probably change in a few years anyways. But for the sake of Steve's sanity, at this point I'm sticking to the idea of keeping it somewhat adult-friendly. I also know that I definitely want the words 'polished' and 'modern' to shine through when you walk into the room. Other than that, all ideas are fair game. 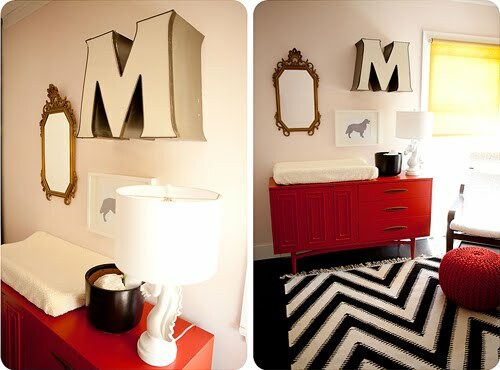 Below are some images I've found for both girls' and boys' nurseries that really spoke to me. I've jotted a few notes down for a some of them to explain myself since, for a few of them, I like a certain element of the room but not necessarily the whole package. Which are your favorites? 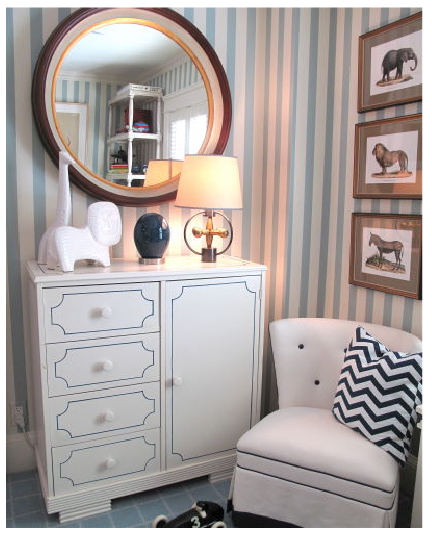 That striped chair is absolute perfection. The aqua wall color, modern crib, and fun yellow rug are what I really dig about this room. Um, what's not to love about this room?? 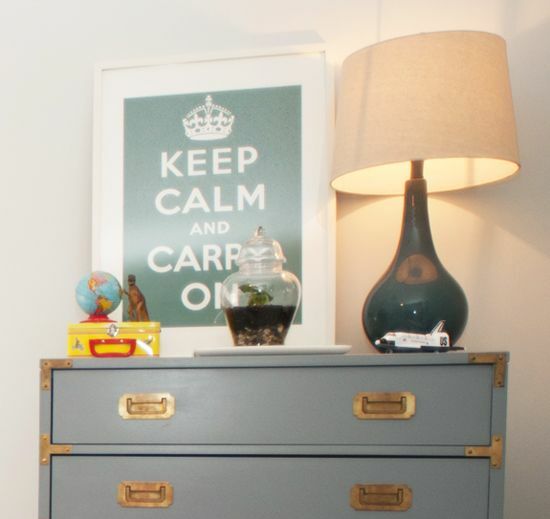 I like the idea of using a 'greige' wall color and then adding color through accessories. I never would've thought to use these colors in a nursery, but I LOVE this room. A wallpapered statement wall is definitely a possibility as long as it's one of those adhesive wallpapers. OMG, I NEED either the crib or the dresser. How sweet are the polka dots in the crib bedding? The DIY dots on the walls are another viable possibility for a boy's room. The color scheme used in this room is so calming - something that I want to achieve. 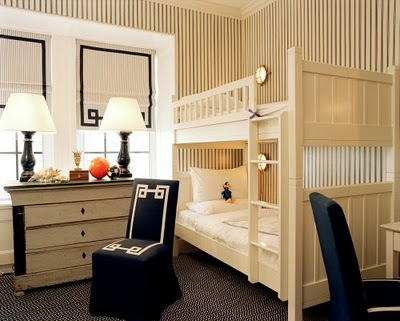 Horizontal stripes seem so perfect for a boy's room, don't they? What I love about this image are the colors - definite color scheme possibility. The use of a bold wall color with white and gray accents are another great example to follow. 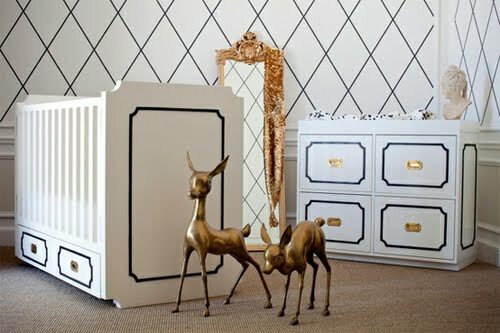 The detail on the dresser really adds such sophistication to a nursery. What I love about this room is the window treatments. So polished and simple. I like the "Cheap and Chic" setup with its cheerful big polka dots, although I'm not wild about grey for a baby's room. I have this idea that babies like some bright colors as accents (but with soft colors for the walls). Since babies can't talk, I can't know for sure. Some sort of rocking chair or gliding chair for the adult who is trying to help get the baby to relax is very helpful. And those modern white cribs in a lot of the pictures are very appealing. You have some excellent inspiration photos. I'm sure your nursery will be beautiful and you will have such a great time decorating it ! I love them all. Love all your photos! especially the 3rd photo, that crib is so cute!